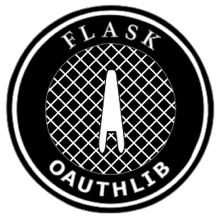 Flask-OAuthlib is designed to be a replacement for Flask-OAuth. It depends on oauthlib. The client part of Flask-OAuthlib shares the same API as Flask-OAuth, which is pretty and simple. Contribution guide, legal information and changelog are here. Flask-OAuthlib is not maintained well. Please use Authlib instead. Feedback is greatly appreciated. If you have any questions, comments, random praise, or anymous threats, shoot me an email.